How To Use Moringa For Weight Loss ? The demand for weight loss supplements and natural weight loss solutions is ever increasing. 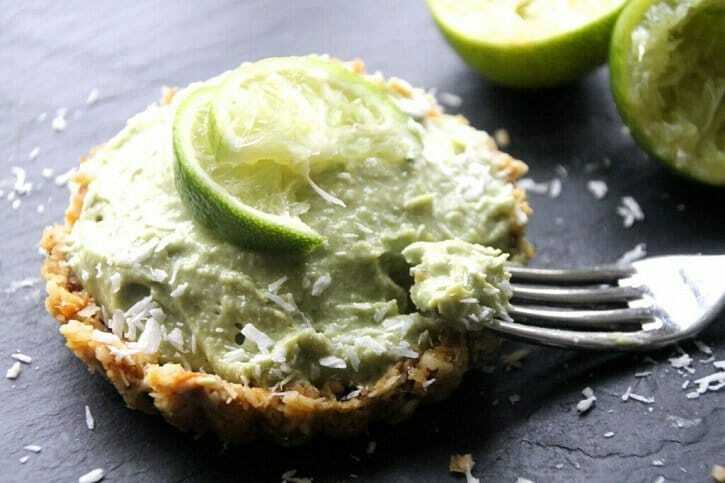 Plants like Moringa Oleifera are currently in the hot seat when it comes to new foods that help lose weight. First, if you want to get the most out of Moringa, we strongly recommend you CLICK HERE to download our special Moringa diet plan and best tips from our experts. Can I really lose Weight using Moringa ? How Long Does it Take to Start to Notice Weight Loss ? Is there anything i should know before using Moringa ? We'll send you the best advices and our special Moringa Diet Plan directly to your inbox. After making headway in the medicinal industry, cosmetic and nutrition businesses have started using the plant too. Now, Moringa is found in hair lotions, face washes and even in weight loss supplements more recently. Similar to Pueraria, Moringa is slowly making a name for itself as an all-natural weight loss supplement. And the leaves are also great for leafy salads and recipes as part of a healthy balanced diet. 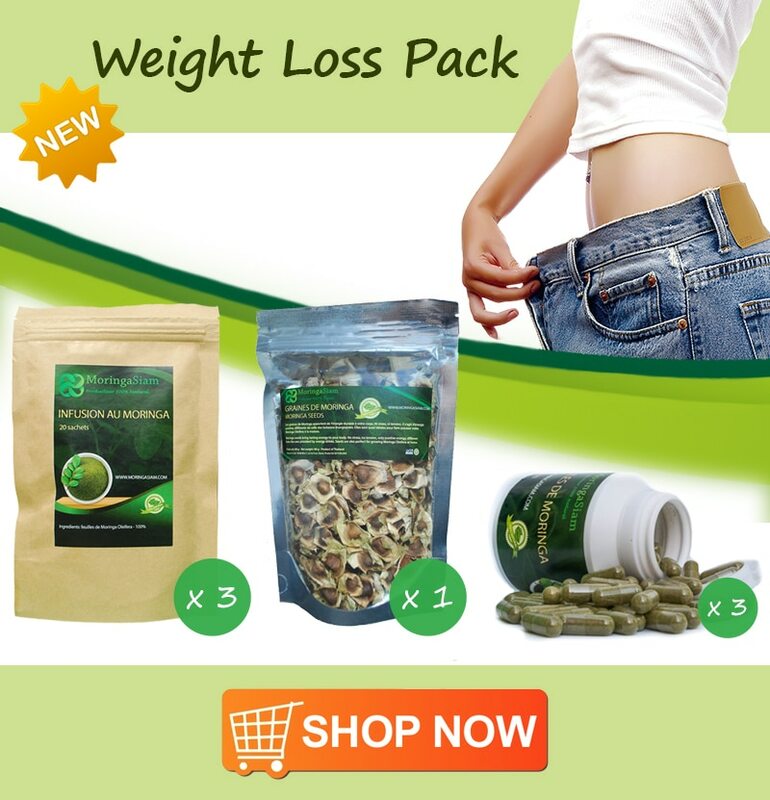 We at Moringasiam have designed a special weight loss pack based on Moringa for you. CLICK HERE to discover it today and get an immediate 25% DISCOUNT ! The popularity of the Moringa Tree and its life-enhancing capabilities has seen a tremendous growth in recent years. Originating in the Sub-Himalayan areas of India, Moringa has always been an important ingredient in Ancient Indian medicines. The industry boasts the plant prevents, cures and alleviates the symptoms of over 300 illnesses, and there is still research being done to find more ways it can benefit the body. It is important to note that whilst the plant be used in supplements and diet recipes, it does not shed the pounds off single-handedly. Incorporated into a healthy balanced lifestyle with regular exercise, Moringa can speed up weight loss for a number of reasons. 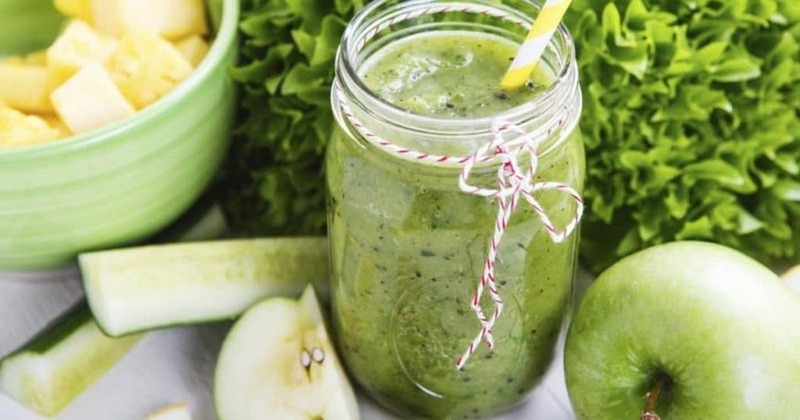 There are several ways Moringa helps you lose weight. Moringa is so rich in nutritional value, it can provide more calcium, vitamin A & C, and proteins that typical sources like carrots and milk. These health-enhancing minerals energize the body in a more regulated pattern, and curbs our need for junk food and cravings. Food cravings let us know what nutrients our body needs. If you’ve ever craved orange juice or fruits, your body is looking for more vitamin C and fiber. If your body craves junk foods, it needs carbs, sugars and fats. Junk foods and processed foods cause spikes of energy and sugar in the blood. This spike gives us a burst of energy but is often followed by fatigue. You’ll also find after eating junk food, you’ll become hungrier faster as the body works harder to break down the fats. Healthy meals offer the body a regulated release of good sugar to maintain energy levels and reduce fatigue. When you start eating healthily, the body can mistake the lack of spike for a lack of sugar and sends the signal to crave foods we don’t actually need. Cravings for fatty junk foods and sweets are the most difficult part of losing weight. And changing from an unhealthy diet to a healthier one will cause cravings whilst the body is still adapting to its new energy sources. You Can Still Eat Junk Food In Moderation! Whilst junk foods are still okay to eat within moderation, a fresh and colorful diet will go much further when trying to lose weight. Weight loss programs suggest having a ‘cheat day’ each week to curb cravings and encourage you to stay healthy the rest of the time. Even celebrities like Gigi Hadid have the occasional binge. The supermodel says ‘eat clean to stay fit, have a burger to stay sane’. Feeling more energized, Moringa helps to maintain the body’s blood sugar levels to support your healthier lifestyle. This is why the plant is often related to weight loss these days. Water weight is a troublesome area in the dieting spectrum that often seems impossible to budge. The problem is cause by a build-up of water in the body and leads to feeling bloated and uncomfortable. It is caused by high levels of water retention for those who don’t drink as often as they should. The body stores the water instead of getting rid of it, as it is unsure when it will next become hydrated. Strange solutions to losing water weight include exercising whilst wrapped in cling film to encourage sweating out the water. These sorts of weight solutions are quick and temporary fixes, and results are eradicated once you drink or eat anything again. The easiest way to solve the problem with water weight is to actually drink a lot more water. By consuming more water, the body has a constant flow which means it no longer needs to store it for later use. More water will flush the body of toxins and reduce water weight, whilst still giving the body the fluids it needs. Moringa leaf extract and leaf powders have been reported to positively affect those using it for water weight loss. It is suggested that this added bonus of consuming Moringa products could be due to the plant’s anti-inflammatory qualities. Alternatively, Moringa’s diuretic effect could reduce the rates of water retention and alleviate the feeling of bloating. Fiber is another natural solution to cravings which will help you to keep on track whilst stabilizing the weight loss process. 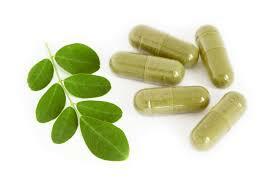 Extracts from the Moringa tree are rich in the fibers we typically find in fruits and cereals. A high fiber diet reduces fat absorption into the gut and burns it off, rather than storing it. Insoluble Fibers prevent constipation and alleviate the symptoms of IBS and other digestive problems. Sources: Fruit seeds, whole-wheat breads and brown rices. Soluble Fibers lower cholesterol and feed microbes in the gut. High cholesterol is a huge issue for anyone with obesity or weight problems. Sources: Oats, nuts and apples. Seeds from the Moringa plant are found in the plant’s pods and are similar to beans and peas. The pods and seeds are often using in cooking, or ground to create a condiment. The seeds are soft and tender whilst raw, and become hard when they are dried. They are common in a wide range of healthy recipes and meal plans for diet programs. The seed contains oleic acid which encourages the breakdown of saturated fats in the body. Saturated fats are found in processed foods and junk food. By breaking down these saturated fats, the body can then process them rather than storing them. Breaking down these fats will reduce the build up belly fat and slow down weight gain. Thanks to its rich vitamin structure, Moringa stimulates the metabolism and helps the body digest food quicker. It also helps to get rid of fats and waste faster by speeding up metabolism. The accumulation of fats and saturates is what causes the biggest health issues for those with slow metabolisms; saturated fats cannot typically be broken down or absorbed so are stored in the body. This stored fat builds up and causes huge health issues, along with weight gain. Moringa compounds contain a strong concentration of glucoinsolates which break down isothiocyanates. These can then be absorbed into the small intestines as part of the digestive (metabolism) system. The human metabolism uses the energy we get from our food to process the food and this helps burn calories. Calories are the ultimate C word of the dieting industry and Moringa helps the body use calories to speed up digestion. This proves Moringa is a great ingredient to help with weight loss, though the effects may only have a small impact. Moringa’s fibers help curb cravings throughout the day, and its compounds speed up the metabolism and break down fats. Researchers and nutritionist have combined these ideas to use Moringa as a weight loss supplement: To help fill the body with the nutrients it needs to get rid of the foods we don’t need. Leafy vegetables such as spinach and rocket are essential for a weight maintaining balanced diet. According to the United States Department of Agriculture, Moringa also has a positive impact on weight loss. The Glycaemic Index is a numbered system which reflects the effects a food has on the blood’s glucose levels. Moringa is low on the Glycaemic Index meaning it maintains a healthy flow of glucose for the body to use. High GI foods – such as candy and junk food – create a spike in the blood’s sugar levels instead. This can lead to heightened energy for a small duration of time, quickly followed by a drop and long period of fatigue. It’s these high GI foods that can slow the metabolism and increase the chances of weight gain. In order to lose weight, the calories burnt within the day have to be greater than the calories consumed. Low calorie diets and high cardio exercises are suggested for fast paced, healthy weight loss. Leafy vegetables are of course one of the lowest calorie foods; which is why dieters are a big advocate of a large salad bowl. Leaves such as those from the Moringa tree, will leave you feeling full, whilst also keeping your calorie intake reasonably low; making it easier to maintain a healthy diet without experiencing cravings for high-calorie junk foods. Moringa leaves host more than 90 essential nutrients the body needs to function. They also contain a huge list of minerals and vitamins we also need to maintain a healthy lifestyle. Combining this with its rich-fiber content and scientific proof of its abilities to work as a health-enhancing antioxidant, it’s clear why the plant is so popular. For the same reasons, it is fed to those living in starvation in impoverished countries. With its ease of access in the Eastern world, all year harvesting and multi uses, Moringa provides a gateway into a healthier life for third world countries. If veggies aren’t your thing, taking a Moringa supplement powder or tablet will provide the body with the nutrients it needs to encourage weight loss. By taking the supplement everyday – like any other multi-vitamin – you’ll gain all the benefits without having to actually make tonnes of salad with each meal. The supplement will provide a constant supply of the vitamins and nutrients the body needs with almost no effort necessary on your part. With a stronger concentrate of Moringa, to match the benefits of taking the supplement, you will need to eat a huge amount of the leafy greens each day; the tablets offer a quick and easy way to give your body what it needs. Supplements are greatly popular in the Western world which has much less of its own native health enhancing miracle plants. Grown traditionally throughout Asia and the Congo, Moringa has become hugely popular for weight loss further afield. 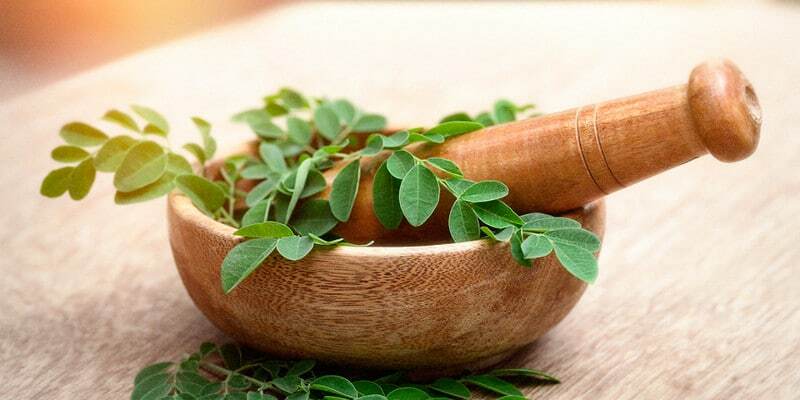 The Western world can look forward to an increase in Moringa supplements in drug stores that provide more nutritional value than native vegetables. 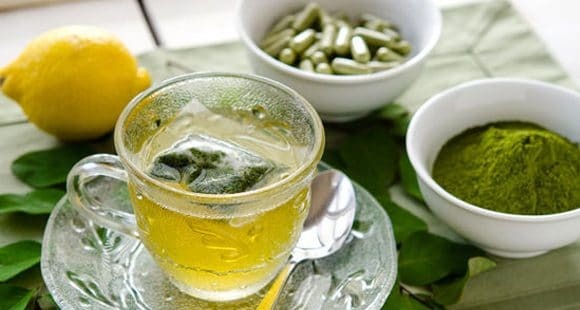 Moringa tea, leaves or supplements give the body everything it needs for healthy muscle growth. Amino Acids all help the body to mend cells that have broken down, and speed up the repairing process. Containing all the amino acids you need, Moringa is a natural alternative to protein shakes and powders. It helps to strengthen the muscles after work outs, and encourages protein synthesis that recovers the muscles quicker. With all of this to offer, Moringa is now becoming well known in the world of dieting and nutrition. Moringa is an active ingredient that helps the body to work through fats by preventing absorption so they are taken out of the body. It aides the reduction of water weight, and thanks to soluble and insoluble fibers, it can prevent high cholesterol and curb cravings. How ever you use the plant and its seeds or extracts, Moringa has an extremely positive effect on the body when used for weight loss. I am diabetic type II. My blood is being checked every 6 months. There was a day where the results were not good. after discussing to my friend where she suggested me to try MORINGA. After two weeks, I find myself different in sleeping, digestion was good and whenever I do my blood test it was between 5 to 8 which was brilliant! and I hope when I will go and see my diabetic nurse this time, she will be surprised. I do recommend people to use it, I am telling you I couldn’t believe this miracle tree. Blog listing is so well, this blog very useful and you have mentioned the blog so well. Bonsoir, comment consommer le moringa dans le traitement des Reflux Gastro-oesephagien (RGO) et des Staphylocoques Aureus? It’s very beneficial blog post. I like your blog post. I met someone who introduced Moringa Seeds to me today. Am still researching about this wonderful seed as I am diabetic and suffering from high blood pressure as well. I have read about the benefits and am impressed. Will try the seeds and see whereit takes me healthwise. I just recently discovered your blog, and this morning I read about your Moringa Weight Loss tips. I want to lose my weight but I can’t because of so many problems. Thanks a lot such an informative weight lose article. I have been taking these food supplement until our country(philippines) are not producing anymore of this. Do you ship overseas? Yes, we do ship worlwide for free, and every order come with tracking number 🙂 ! I started using Moringa 2 weeks ago, what diet can I follow in order for me to see weight loss results? Do I follow a HFLC (banting) diet or do I eat fat free/low fat foods with healthy carbs and what oils can I use when cooking? I take 2 capsules twice a day, morning and evening after/during meals and drink 2/3L of water per day. I don’t gym as often as I like but I will start. Your help would be greatly appreciated. We’re currently making some diet plans that everybody wanting to loose weight will be able to follow. I will let you know when it’s ready. I CAN TELL YOU FOR SURE , THAT I STARTED TAKING MORINGA 5 MONTHS AGO AND I LOST 20 POUNDS, BESIDES I FELL SO GREAT AND ENERGETIC. Can I use the moringa pills to lose weight and how much do I have to take daily? Do I have to eat the moringa seeds and If I do…how do I eat it and how many times per day should I take. I really want to lose weight. Pls for your advise. Yes ! Fresh leaves are full of benefits. They are a significant source of Vitamin A, Vitamin D, Vitamin C, Vitamin K, protein, Manganese, Calcium, Potassium and essential nutrients. They can also be cooked in the same way as spinach. I really want to loss weight but am not really sure about this moringa. How can you assure me? I started to consume mornings seed been drinking the tea I am trying to loose weight very hard but not going to stop what I did is grind the seeds with covering didn’t wash with salt is that OK so the powder I am going to put in juice please tell that it can work this way for weight loss thanks. I live in south west Louisiana and have six 10 foot morninga trees and approx 15 three foot trees. My wife and I protect them from freezing in the winter and grind our home grown dried leaves into powder in a coffee bean grinder. We started on mornings store bought capsules until our home grown we’re ready. We are getting the word out in our area to others. hi. how can I get the morons tea. I need to cut weight. am in kericho. previous post: What are the Benefits Using Moringa Products?